Are you looking forward to some fun fall events? If you live in Tulsa’s Midtown district, there are quite a few things to do happening in the next few weeks. Find out if these three October events are happening near your Midtown neighborhood. Midtown’s Expo Square will be hosting the US National Arabian and Half-Arabian Championship Horse Show from October 18 – 26. This is a great opportunity for horse enthusiasts of all ages. There will be classes for amateurs and professionals, and the chance to view talented horses. In addition, Total Arabian Interaction Learning (TAIL) will be held free for families from October 18 through October 21. This program teaches families about the breed and requires a reservation. Click here for more details. River West Festival Park will be holding the Tulsa Oktoberbest from October 17 – October 20. Come out for authentic German food, beer, arts and crafts, dancing, music and carnival rides. Admission is required for entry. The Brookside neighborhood will present Boo Fest 2013. It starts with the Taste of Brookside on October 24 from 6 p.m. to 10 p.m. Tickets cost $40 at the door. 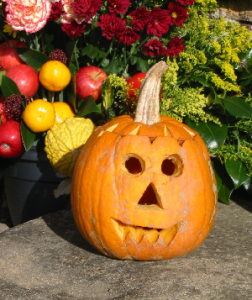 Scary Savings Saturday on October 26 will feature great deals from many Brookside stores. Finally, the BooHaHa Parade will take place October 27 starting at 1 p.m. with a children’s costume contest. The pet costume contest will follow at 2 p.m. before the parade starts at 3 p.m.
Ready To Start Your Home Search in Midtown? If you’re planning on relocating to Tulsa, search homes in Midtown and be automatically notified of new homes that come on the market. Otherwise, if you have any questions about real estate in Midtown or the greater Tulsa area, please get in touch with our Tulsa real estate agents.